Berbiguières is a small, picturesque village in the heart of the Perigord Noir. Its houses cluster along the walls of a 15th century chateau. The entire village is classified and protected from commercialization. It is ideally situated for exploring the Dordogne region. Berbiguières is within easy reach of a rich variety of historic sites, from the pre-historic caves at Lascaux, to nearly 50 restored castles that date from the 100 Years War (1325-1453), to elegant 17th and 18th century chateaux with their lovely formal gardens. Access to the Dordogne for swimming and canoeing is nearby. There are boat tours along the river if you prefer a narrated approach. The hills beckon with excellent hiking opportunities. The Dordogne region is renowned for its truffles, its foie gras, and its fine cuisine and Bordeaux wines. The vineyards of St. Emillion, Montbazillac, and Cahors are within an hour or two's drive. Outdoor markets rotate daily through local towns, such as Sarlat, St. Cyprien, and Bergerac, if you want to shop for local fare and eat in. Or, dine in one of the many fine restaurants in the area. Visit fortified bastide towns, such as Domme, Belves, and Montpazier, for a sense of medieval history. In summer, there are excellent theater and music festivals to enjoy. English-speaking neighbors are ready to help you find your way around the cottage, the neighborhood, or the region. This makes the cottage ideal for holiday and vacation rental. IF MY PROPERTY IS OCCUPIED WHEN YOU WOULD LIKE TO RENT, I MAY BE ABLE TO ASSIST WITH OTHER PROPERTIES IN THE VILLAGE; PLEASE CONTACT ME. My husband and I bought this property to be able to visit friends and family in Europe. It is our second home. When we are unable to be there, we rent it out. We hope you will enjoy it as much as we do. We chose this area because it is beautiful, offers a wealth of things to do and see, and still retains much of its medieval character. We visit every year and still have not run out of things to do. 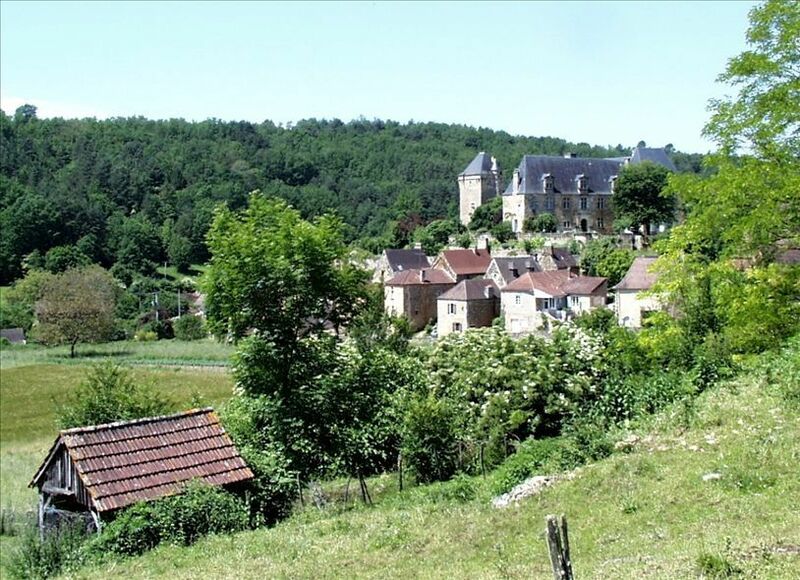 This is an opportunity to live in a medieval village, complete with walls, chateau and a lovely setting, while still enjoying modern household conveniences and easy access to sites and services. For local and emergency calls only. Renter supplies firewood. Damper must be opened. Parking is about 30 meters from the cottage. It is free. Dining area is on main level. Rentals readily available on the Dordogne. Can be rented and delivered to cottage. Ask owner for details.